Is too much rain killing my trees? We have more than our fair share of the wet stuff in the west of Scotland. Most people know that too little rain is not good for their garden, but are surprised to find that too much rain can kill trees and plants too. Waterlogged soil could be starving your tree and plant roots of oxygen, slowly suffocating them. Sadly, lots of trees, plants and shrubs that weathered the severe winter are now going into decline. 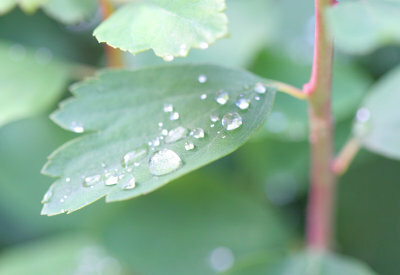 The signs of trees/plants affected by too much water are very similar to those affected by not enough water. If you need help with identifying this Cairns Tree Surgery are offering customers a FREE health check between now and the end of May. We will check for: stability of roots, correct size and colour of bark and foliage, security of branch attachment, overall shape and health of the tree. As well as giving you advice on planting new trees, different types of safe pruning to get light into your garden without damaging the tree. Call Derek today to book your FREE Garden Health Check appointment!